Bike Pic Oct 28, mountain biking fun in the snow is here again! 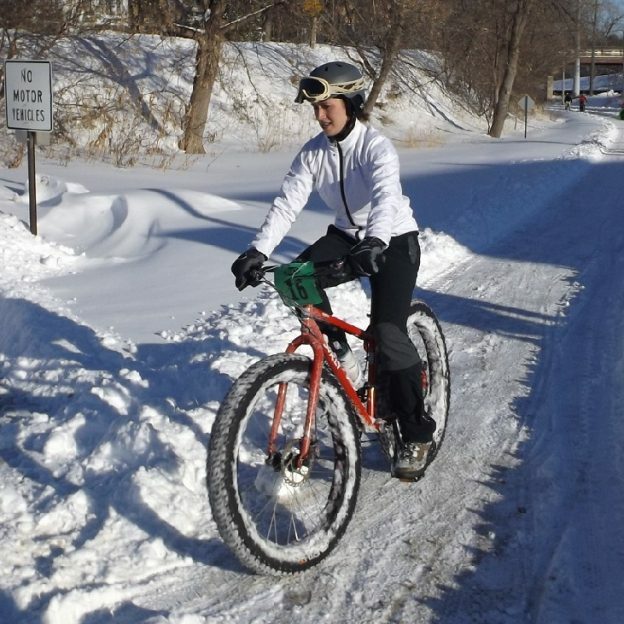 Is mountain biking in the snow season really here to stay in the upper Midwest? With temps hovering in the low 30’s, including rain and snow over the next several day. it maybe time to get the fatty out and prepare for some winter riding fun. 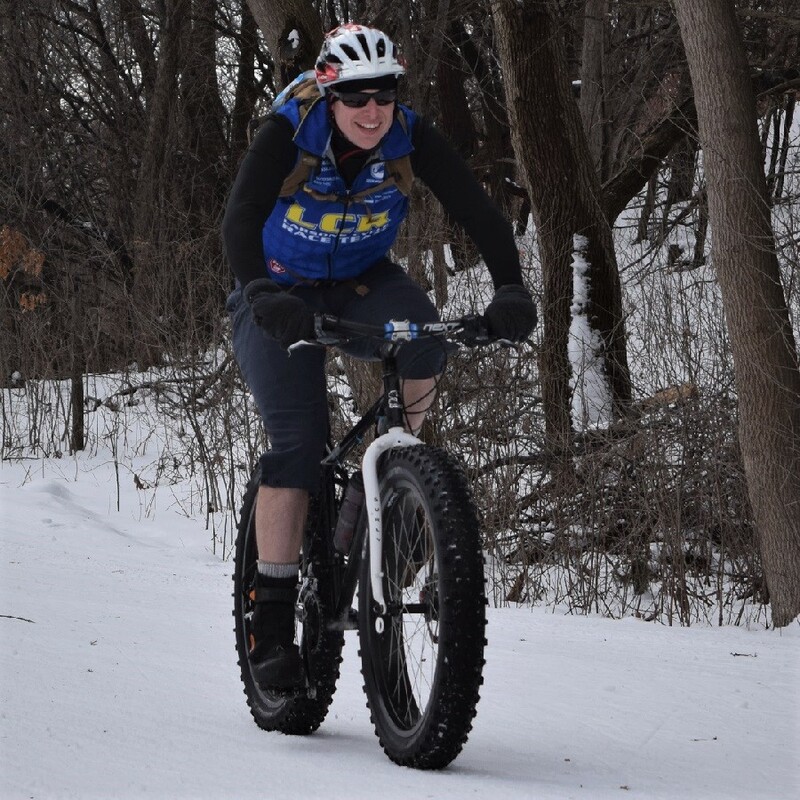 This entry was posted in News and tagged 45nrth, Bike Iowa, bike minnesota, biking weather, fat bike, Minnesota trails, MORC, mountain bike, mountain biking fun, Ride My Bike, Snow bike, snow riding, Winter Biking, winter riding on October 28, 2017 by Russ Lowthian. As the winter winds begin to shift and blow into our office, here in Minnesota, thoughts turn toward the snow covered trails. We are lucky here to enjoy a massive amount of trails that are designed for winter riding. But if you are like me and new to the whole fatbiking thing, how do you get into it and what should you expect? Fatbikes are more like normal mountain bikes than you may think. As an example, the only parts unique to most fat tired bikes are the crank, tires and wheels. 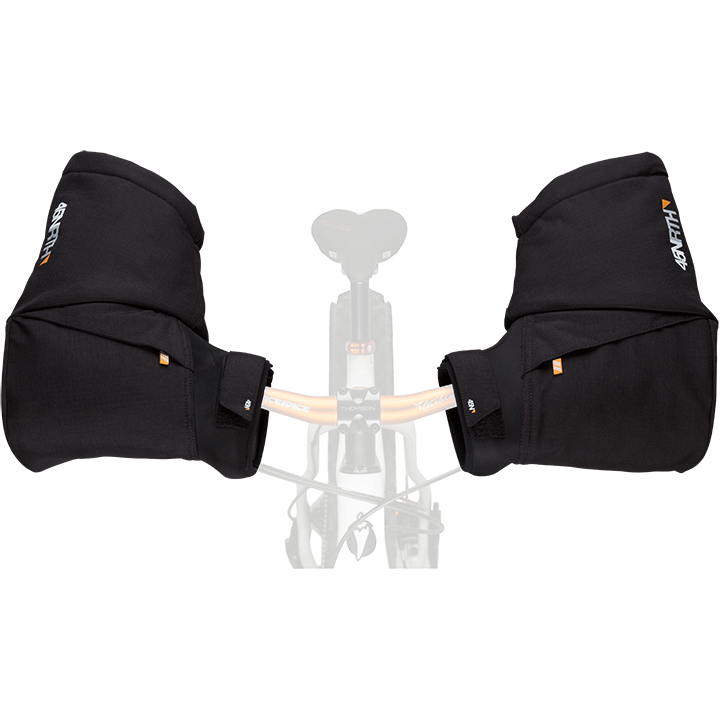 Other than those things, all the other parts are interchangeable with you normal mountain bike. 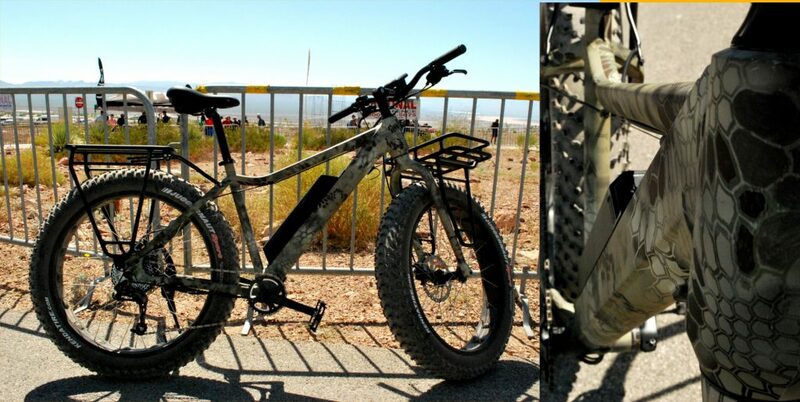 That being said, the parts that make a fat tired bike different are responsible for their namesake. The large wheels and tires give these fatbikes their flotation on soft surfaces like snow and sand. There are now several brands available at most price points so getting into the sport has never been easier. Plus many bike shops offer rental programs. The best part about a fatbike is that it extends your season with an all new cycling experience. For the most part, when snow was falling, people were kept from riding. Now, with so many fat tired bike options, a thick layer of the white stuff simply means more riding for all! With 4”-5” wide tires and pressures as low as 4psi, a fatbike can easily navigate deep snow. The only issue you will run into is ice. An icy surface doesn’t really care how wide the tire is, it’s still slippery. Once a trail gets slick it’s best to either change your tires to studded versions, or install studs in your existing tires. With studs below you, the game is back on. I find the hardest part of fatbiking is dressing properly. I am no stranger to winter riding, but most of that has been commuting. Once I got off road, I found that I was chronically overdressed. Off road riding is slower than commuting, so there is less wind chill to contend with. Additionally, I find it is a higher effort (more calories spent) to fatbike than to commute. 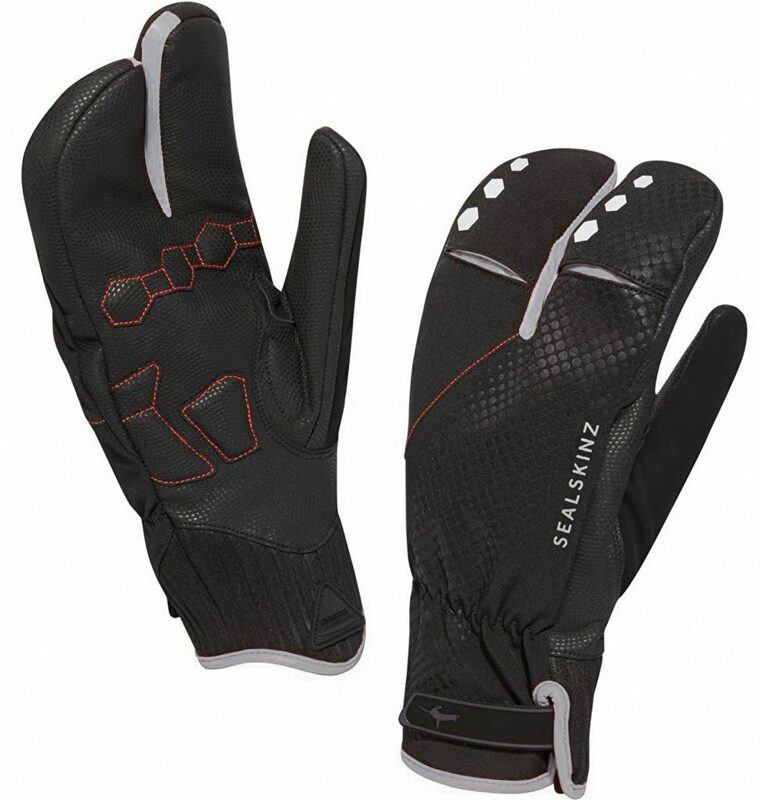 When winter riding make sure your feet and hands are warm with good gloves and winter shoes. I also find you should wear warm cycling clothes that will wick the moisture away and resist the urge to wear too much clothing. 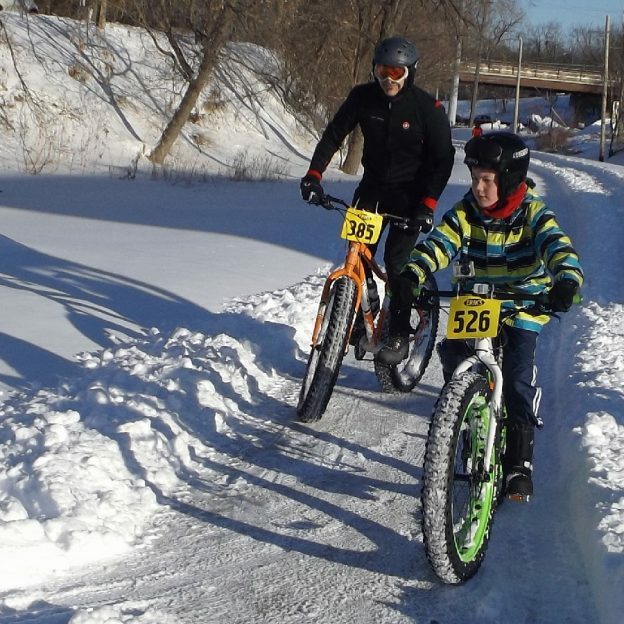 While we cant stop the cold from hitting soon, get out and discover how fun it is to fatbike. The most fun part of riding a fatbike is experiencing an existing trail you may have used before, in a new way. With a fresh coat of snow on the ground, features that may normally be difficult get smoothed out and sections that are typically easy, can become difficult. That change in perspective gives all new life to trails that may have become old and commonplace to you. So get out there and try fatbiking this winter. 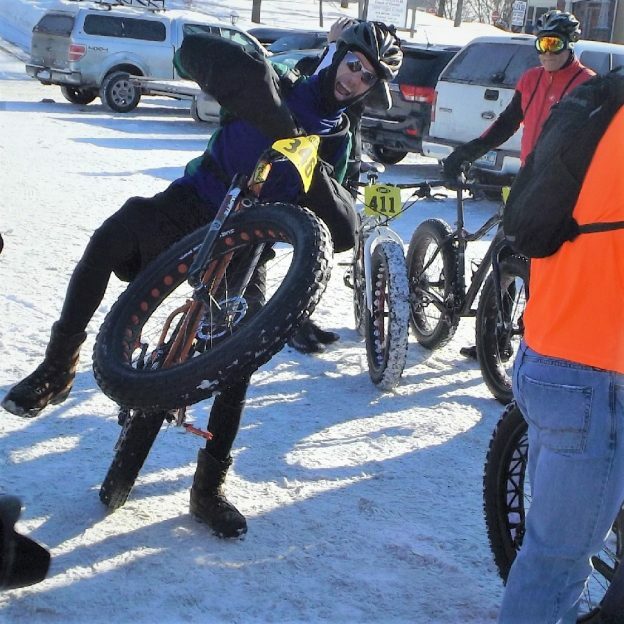 This entry was posted in News and tagged #bicycle, #fatbike, #FindYourNextAdventure, #mnbikeguide, #mountainbiking, #next adventure, #nextadventure, #salsa, 45nrth, fat bike, Minnesota trails, MORC, mountain bike, Ride My Bike, Snow bike, snow riding, surly, Winter Biking, winter riding on October 19, 2017 by John Brown.